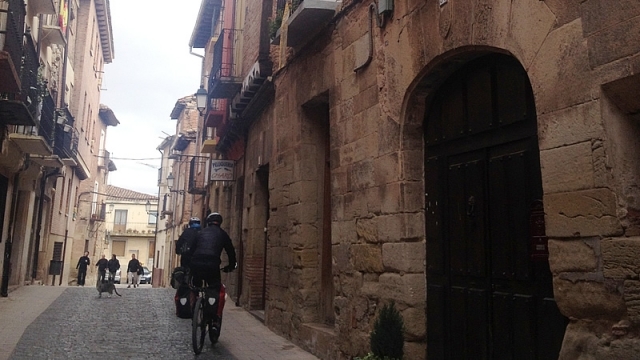 The name of this town seems to be related to its location as the boarder of Navarre-its foundation is related to the Castilian kings and a desire to defend their territories-, the urban layout and structure of a walled city has been preserved. In its Calle Mayor pilgrims find the amenities and services needed for their journey, on this urban tour that will also allow them to contemplate a beautiful temple and admire the works of pottery, craft and other industrial activity so characteristic of Navarrete. If you are traveling on the Camino de Santiago or are planning to do so soon, you should know that the distance separating Navarrete from Santiago de Compostela is 602 kilometers.